I’ve wanted to be an architect for as long as I can remember. Building design and large scale problem solving have always excited me. I started working for an Architecture firm my junior year of High School and have never stopped. I earned my Bachelor of Design from the University of Florida and my Master’s of Architecture from Georgia Tech. I worked part-time in high school and college for WMB Architects. After college I spent two years in Chicago working for 2005 AIA Firm of the Year, Murphy/JAHN. Now I have the coolest job in the world. Since 2007, I’ve been able to combine my two passions: Sports and Architecture, designing stadiums and team facilities that enhance the fan and player experience. I’ve been responsible for assisting with the creation, production, and development of over 50 collegiate sports projects spanning a wide range of sports, facility types, and deliverables. Currently, I operate as lead project designer, managing a team of young designers, through all phases of the design and construction process, with in-depth experience in facilitating designs from abstract concepts into 3D computer models into built realities. I work directly with our clients to make sure their goals are achieved. I specialize in athletic master planning and team facility design. I am intimately involved in the design trends of locker rooms, sports medicine, hydrotherapy, strength and conditioning, coaches’ offices, position rooms, and auditoriums. 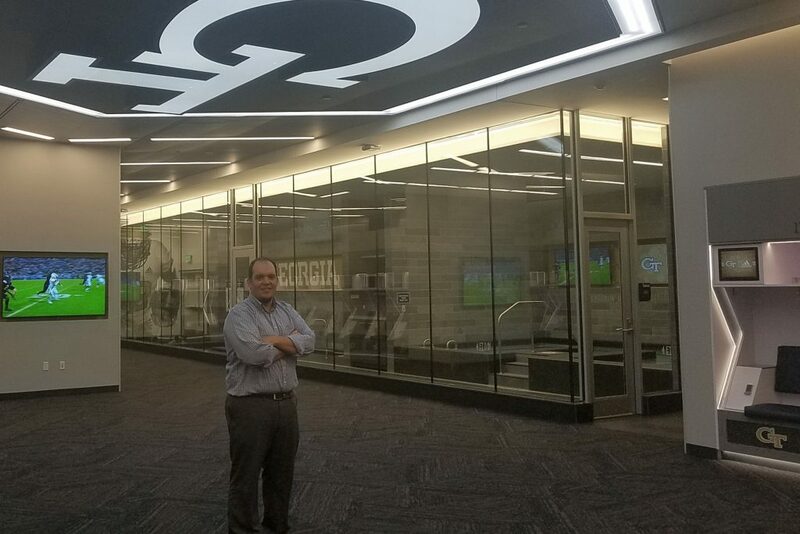 I’ve participated in over 20 multi-million dollar job pursuit interviews and assisted as lead designer to generate eight direct selections for follow up projects, including the $16.5m Georgia State Stadium Conversion and $15.7m North Texas Indoor Practice facility.